Sean Dyche has hailed Arsenal Wenger as a “legend of the game” after news that he is to step down as Arsenal boss after 21 years in charge. Burnley will feature in Wenger’s last home game in charge of the Gunners in two weeks’ time - a game which could have a huge bearing on the Europa League slots. 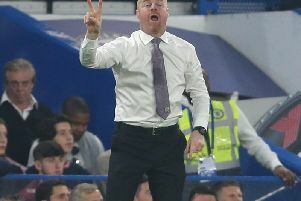 Dyche is a huge admirer of the Frenchman, whose influence on the English game, particularly in his first decade in charge, was immeasurable. “Things he changed like hydration - it sounds simple but he has taken it to a new level, the diet, health and well being, making sure the food they ate was right, then there are the ways they have reformed all different group. ”People forget the origins of that team were a hard tough back four, he brought in two players who were centre halves in France and played them in midfield. ”They had some fantastic individuals in Bergkamp and Wright but also some real hard players, and then to morph it into this open flowing football, that’s not easy, it takes time.